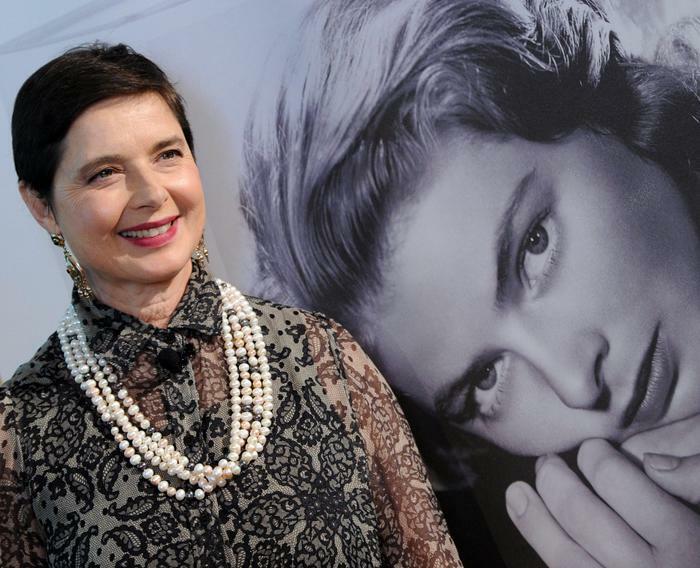 Four destinations in the world for this tribute to a duty of her own daughter, Isabella Rossellini, to her mother, Ingrid Bergman. New York, London, Paris and now Rome. Rome stage concludes an official tour begun by Isabella in London in September with Jeremy Irons at the Royal Festive Hall, then New York again with Jeremy Irons at BAM, and Paris with Fanny Ardant and Gerard Depardieu at the Theatre du Chatelet. Her performance of an obligation, of an immense feeling due to recognition of merit also to the real qualities of her Mother in the history of the history of life, and the Cinema. A loto of people for the video projection of this theatrical homage, iconographic, emotional, autobiographical, didactic to an actress amongst the bests worldwide, because she made film history by the late ’30s, including Hollywood, Sweden, Germany, France and Italy after her meeting by herself promoted with our Maestro Roberto Rossellini. 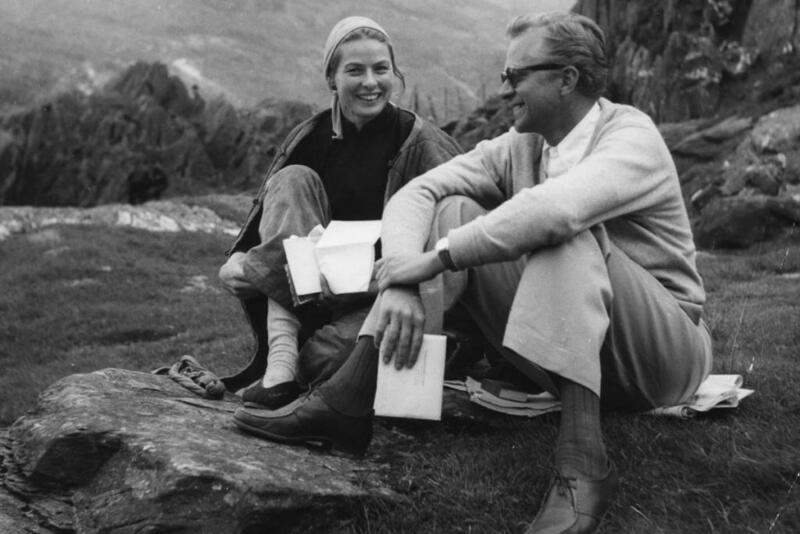 Both Bergman and Rossellini already at the heights of their artistic ability, popularity and personal success. It was 1948, Ingrid Bergman had already won her first Oscar as Best Actress -of three Oscars, many Nominations, two Emmys and a Tony. The result of their meeting: love, some memorable films like their movies and their sons Renato Roberto Giusto, and Isabella and Isotta twins. I saw his films Open City and Paisan, and enjoyed them very much. Whenever you need a Swedish actress who speaks English very well, who has not forgotten her German, I do not understand almost in French, and in Italian knows only “I love you”, are ready to come to Italy to work with her . A year later they were filming together “Stromboli Terra di Dio”, Stromboli, they loved each other, and the volcano erupted as the controversy on Italian and US soil being both already married. But their feeling and film talents were much stronger and balanced everything. What Isabella wants to be recalled, and what Isabella inherited. 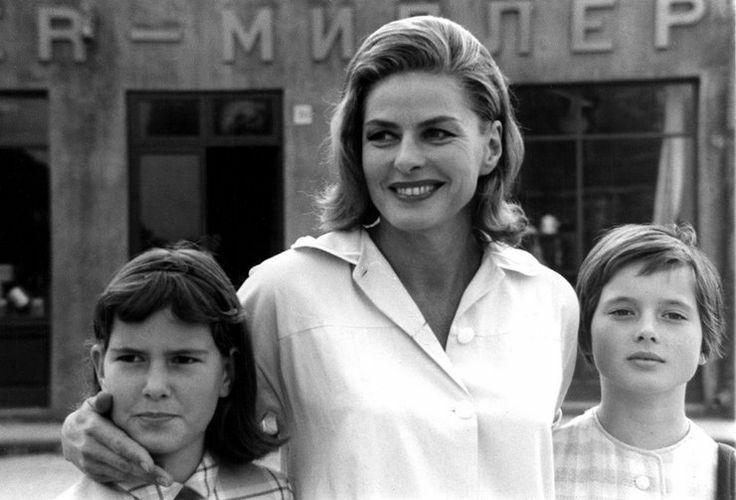 We want Ingrid Bergman continues to be part of film history, we want her to be history thanks to the archive of her work and life that my mother herself had always maintained with great stupendous care and devotion given, in her opinion filming as the highest form of art of the century. They are important documents and can also be useful for understanding the consistency and ability of a woman, mother, of her time. An actress whom decided to accept scripts where, despite cinema itself, there was not fiction but truth over human nature. Besides her passion for Cinema, Isabella knows she has inherited her strength, steadfastness, unity, integrity, kindness and joy. The American Film Institute has inserted Ingrid Bergman in fourth place amongst the greatest acting protagonists of cinema history. 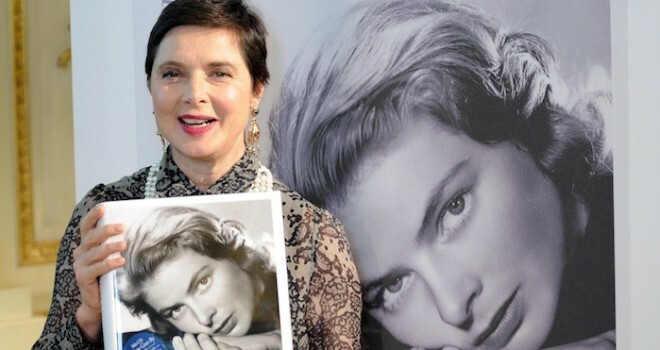 The show accompanied by the narrative voices of Isabella Rossellini and, in Italy, by Christian De Sica with whom she is related since childhood friendship being both children of friends and colleagues, will accompany us on a journey through the life of the actress Ingrid, collage memories, interviews, letters, unpublished family movies from her private archives with evidence then of friends, artists and colleagues whom have had the privilege to know her and work with her, including Roberto Rossellini, Alfred Hitchcock, Robert Capa, Ernest Hemingway. The project is written and created by Ludovica Damiani and Guido Torlonia, important Italian authors already for preserving the role of other Grand Maestri as Luchino Visconti, Strehler, Fellini, Audrey Hepburn). Rome Central, magazine for residents and tourits liked this on Facebook.